Brean Leisure Park was opened in the 1970s and has rapidly become one of the South West’s most popular family destinations. Over half a million visitors a year holiday in Brean, enjoying the newly refurbished ‘Splash’ waterpark, fabulous entertainment and of course the exhilarating rides. In 2006 £1.2million was invested in new rides, great news for all the thrill seeking visitors. Five areas were marked for renovation, taking place in the recently improved ‘Splash’ waterpark. 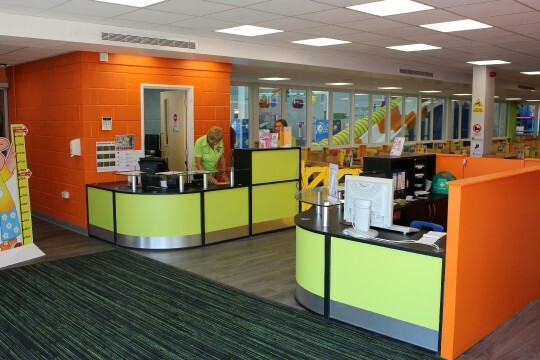 Colourful, yet robust furniture was the order of the day, generating an attractive and bright environment which would be embraced by visitors and staff alike. 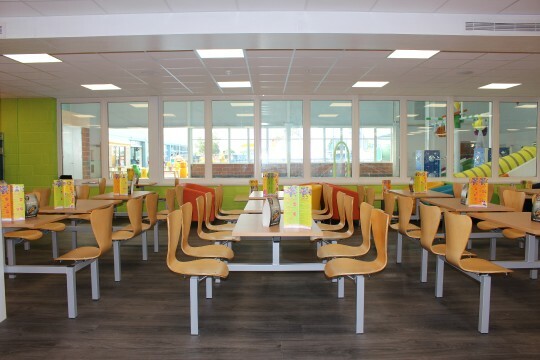 Thirty four Helmdon modular units were installed in the new café area. These are mixture of four and two seat models with single and double entry frame options. Avalon reception desks complete with inbuilt cupboards and pigeon holes, in two of fifteen available finishes, act as entry and exit points to the area. 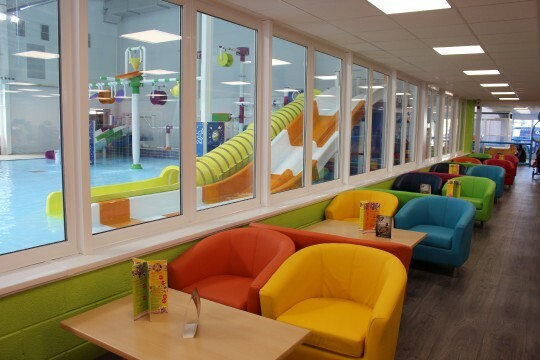 The bright and vibrant colours of the Tritium tub chairs in wipeable faux leathers bring the area to life and work well with the colours of the waterpark swimming area. A flexible and versatile solution was required for the Café on the upper level. A combination of the Paris folding table and colourful POP chairs allows our client to stow the furniture away quickly and use the space for alternative applications. On the same floor there are a number of party rooms. The Titan one piece polypropylene chair provides a colourful and practical solution with its lightweight but durable construction and unrivalled 25 year guarantee. We have provided a colourful, flexible and robust solution within the required time frame and as always, at a great price. Further project pictures accessible, click here.